Looks like a plan to implement a train ride to Northwest Trek will be a reality starting this summer. One weekend a month from July through October 175 seats will be available for a ride aboard a vintage train out to Eatonville then on from there via shuttle to the wildlife park. Imagine a leisurely day trip without the tension of traffic, where kids can get out of their seats and roam around – making for much better moods for the entire family. Northwest Trek Wildlife Park and Tacoma Rail are teaming up for a very special experience for both train buffs and wildlife lovers alike. One Saturday a month between July and October 2008, a train will carry up to 175 passengers in vintage railroad cars from downtown Tacoma to Eatonville. Geology, history and train experts will provide narration during the trip. Staff will also be on hand with biofacts and other learning opportunities. After passengers arrive in the Eatonville, they will board shuttle buses for the short ride to Northwest Trek where they can enjoy a full four-hour visit complete with tram tour. Then travelers will shuttle back to the train for the worry-free ride back to Tacoma. Limited activities will be offered for youngsters on the ride back. Since the trains are vintage accommodations for folks with mobility challenges can't be made. Prices range from $40-$60 a person (with $5 off each for members) and include the train ride, shuttle, admission to the park, and a tram ride while there. It'll be nice to see some action on the tracks recently abandoned by the dinner train. Let's hope there's enough interest to make this a regular (and possibly more regular) thing. by Twisty on 6/4/2008 @ 4:18pm Does anybody know what kind of locomotion will be used? Any chance this train will be steam driven? by KevinFreitas on 6/4/2008 @ 4:21pm I think they may be using the cool old silvery cars I've seen parked over by the Tacoma Rail HQ. Dunno what kind of locomotive they'll be putting to use tho. by Twisty on 6/4/2008 @ 4:34pm Oooo, old Pullman cars? Who cares about the locomotive? Count me in! 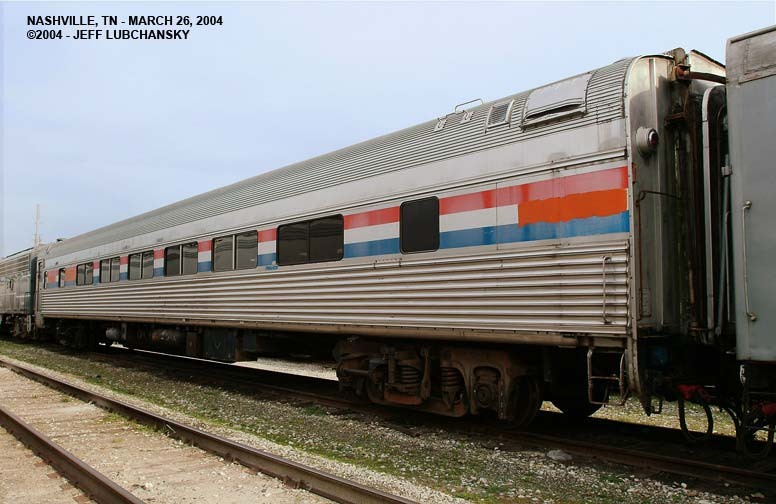 These type of cars are still used, in decreasing numbers, on Amtrak's Northeast Corridor. by jenyum on 6/5/2008 @ 6:02am I think this could be really popular. The problem with the dinner train was that it didn't really go anywhere, then it turned around and came back. by KevinFreitas on 6/9/2008 @ 7:27am Just posted pics of their first excursion. Looked like it would make for a great day.